Looking for a whale of a time? Well, the Western Cape has it all. Whether you feel like adventurous tours, breathtaking views or any kind of sports, you’ll find plenty of opportunity and accommodation is available to suit all budgets. 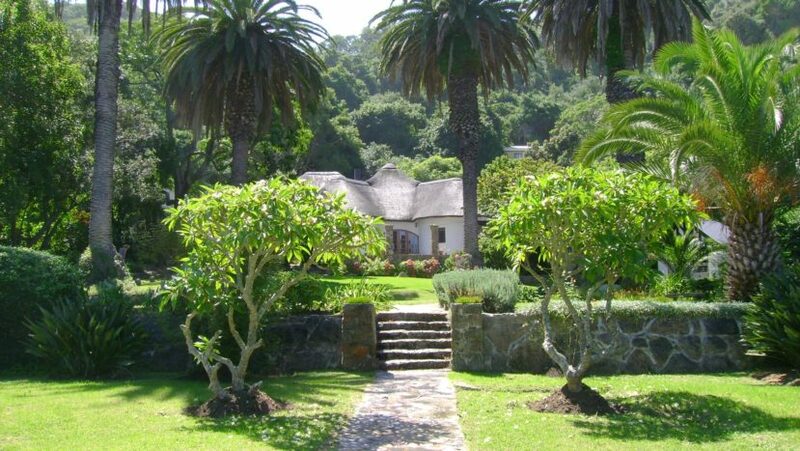 Spend a perfect day, get up in a cool morning breeze,welcomed by dolphins playing in the sea, enjoy a hearty breakfast in a luscious garden, where the knysna loeries are feeding their offspring. Go for a hike through our coastal National Parks, a canoe trip, or relax at beaches where more shells than tourists will be found. Enjoy the local hospitality and visit our charming little towns like Sedgefield or Knysna and at the end of the day: Fall in love with Wilderness. Wilderness is simply the friendliest village at the end of the world; situated in the heart of a national park it offers you the choice of unspoilt sandy beaches, stunning mountain views and quiet lakes. 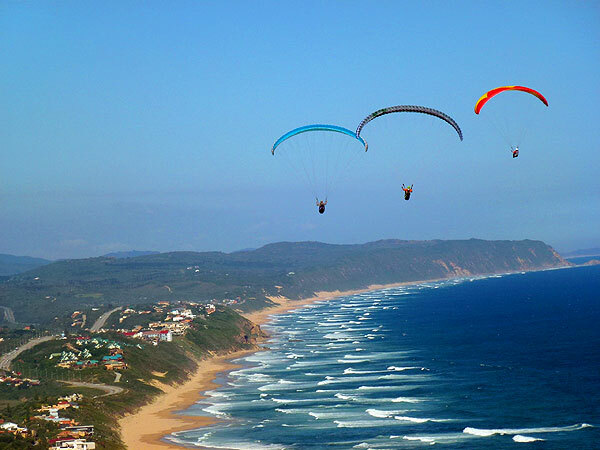 With George, the next town just 10 minutes away, the entire garden route is waiting at your doorstep. Our house “LIMBERLOST” is the oldest mansion in the village; you will find us just a 2 min. walk from the beach, right at the lagoon. Enjoy pure nature in our infinity garden, shaded by palm trees as old as the “wilderness” itself. 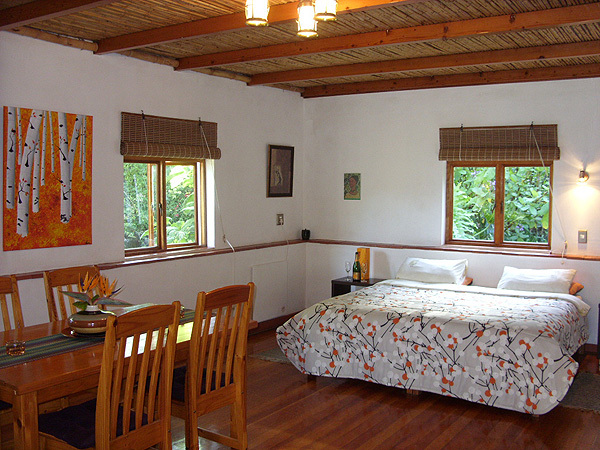 Available are 2 attractive double rooms en-suite and 2 charming chalets, which are fully equipped and made to meet all your needs for a convenient and relaxing stay enjoying your precious privacy. Surfing, paragliding, ultra-light flights, mountain hiking and abseiling, canoeing, golfing, biking, rafting, fishing, whale and dolphin watching and…loads more. Abundant birdlife is best enjoyed on foot or from the garden at your disposal. double rooms en-suite from R 250 – R 380 p.p.p.d. 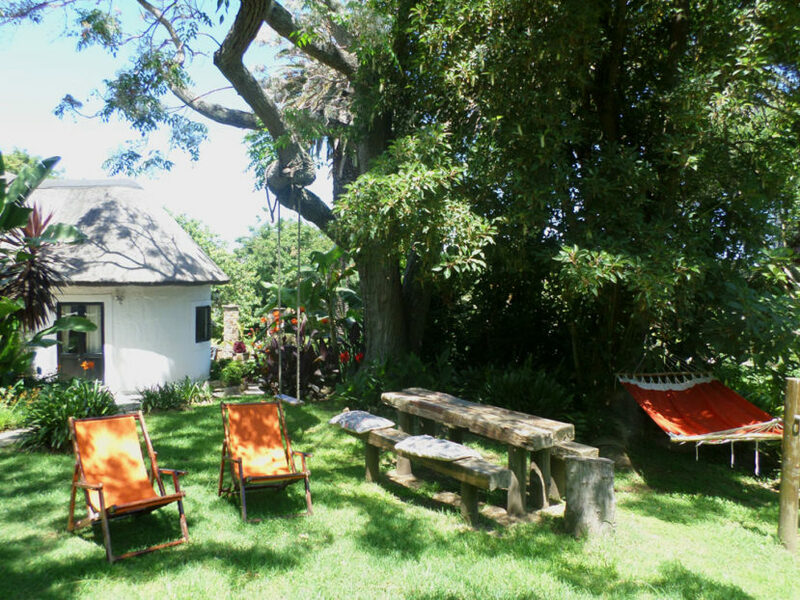 self-catering chalets from R 300 – R 440 p.p.p.d. group,- and longterm discounts are available! If you feel a little bit like heading for holidays right away, it would be our pleasure to give you further information on the phone. Don´t be shy!